Breakfast Stuffer | P&S Bakery Inc.
Seasoned scrambled eggs, sliced sweet honey ham, peppers & onions, and savory cheddar cheese sauce stuffed into a golden baked crust. Our crust is crispy on the outside and soft and tender on the inside. 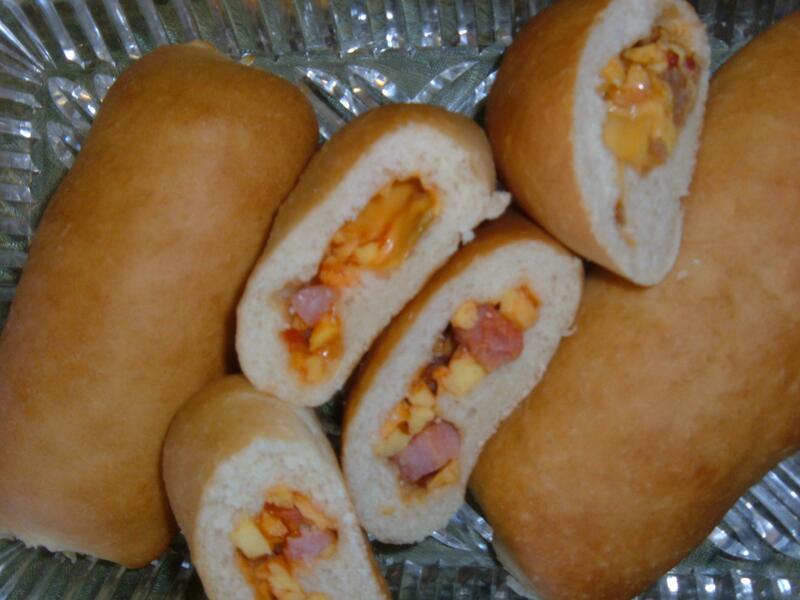 Our stuffed “Western Omelet” Breakfast breads can meet all your needs, including school lunches, vending, convenient stores, fundraising or walk-in pickup for your kids at home. 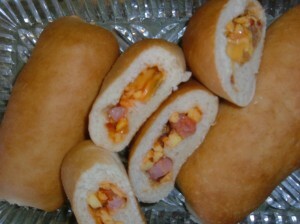 Our stuffed “Western Omelet” Breakfast bread is fully baked and ready to serve. The breads are individually packaged in clear film. We have the capability of individually labeling bread for retail sale and can be packed to meet your fundraising needs.